It has been quite the week for Odell Beckham, the New York Giants and the team’s fans. Browns fans in Cleveland should be thrilled. Their team traded for Beckham, one of the most electrifying players in the NFL. There are surely a lot different feelings in New York. Beckham seemed made for New York. He was a great player who grew famous far beyond the football field. Controversy followed him. He was always interesting on and off the field, like New York football stars Joe Namath and Lawrence Taylor before him. The 2019 Giants won’t be the same without Beckham. 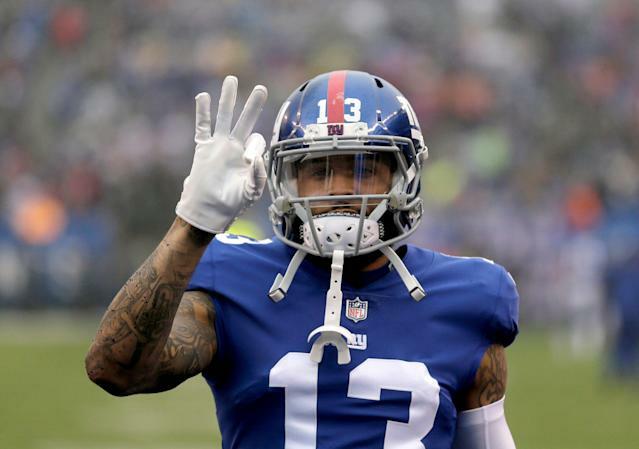 Beckham himself expressed on Thursday, in a heartfelt Instagram post to thank New York and Giants fans, that he’s having mixed feelings himself. Beckham was drafted by the Giants, became a superstar and presumably felt he had a home when the Giants signed him to a huge extension last year. But this week he was traded to Cleveland. That’s a shock to the system. Beckham has a long career ahead, and maybe we’ll ultimately remember him mostly as a Cleveland Brown, as strange as that seems right now. He’ll always be a part of Giants lore as well. He spent just five seasons there, but it seemed like a lot longer.